Former Michigan Gov. John Engler in 2014. (CNN) - Students and faculty at Michigan State University slammed the choice of former Michigan Gov. 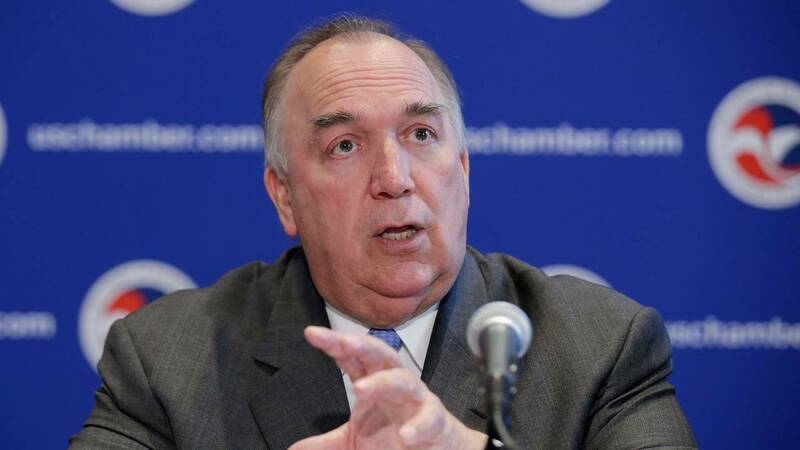 John Engler as the school's new interim president. They spoke out during a town hall on Thursday addressing the Larry Nassar sexual abuse scandal. The former longtime school employee has been sentenced to up to 175 years in prison for the sexual assault of young female athletes. People cited a lack of input from teachers and students before making a decision. Notably, they also brought up Engler's handling of sexual abuse cases in prisons while he was governor. "What were you thinking?" doctoral candidate Dee Jordan said, angrily directing her question to MSU Board of Trustee member Brian Mosallam. Just one day before the meeting, the board of trustees voted unanimously to select Engler, chosen after Lou Anna Simon announced her resignation on January 24 in the wake of the scandal. She had come under fire for what critics say is the mishandling of the scandal. Michigan State has faced significant criticism for employing Nassar, the former USA Gymnastics doctor, for years, even as he sexually abused young athletes on campus. The former associate professor and team physician at MSU admitted in court that he sexually abused young girls under the guise of providing medical treatment. The trustees said Wednesday that they believed that "it is in the university's best interest to appoint an interim president from outside the institution to provide strong leadership during this critical time." But students and faculty said the board took no input from them before making its decision. Engler is a longtime Republican politician who was governor from January 1, 1991 to January 1, 2003. "Engler refused to allow investigators of sexual assault at women's prisons (as governor,)" Jordan said, in tears. "You had a choice on the matter. 'Yes,' 'no,' or 'abstain.' And you chose to vote 'yes.' I'll never look at you the same again." Mosallam told the crowd he did not agree with the board's decision to select Engler as interim president, but he voted for him "for the sake of unification, I agreed to vote with the majority." To this, one attendee yelled, "You're a coward." Speaking before students, faculty and journalists on Wednesday, Engler said his main concern as interim president would be to the survivors of sexual abuse. He received criticism there, too. One woman who said she was a "faculty person" said the board wasn't soliciting feedback from the faculty. People chanted "shame" as Engler and the board left the room.